Philadelphia Personal Injury lawyer John M. Dodig is a veteran trial attorney who primarily litigates claims involving construction accidents, truck and motor vehicle accidents, medical negligence, and premises liability in both Pennsylvania and New Jersey. John has achieved several verdicts and settlements in the range of millions and tens of millions of dollars in these areas, including a $31 million verdict on behalf of an individual injured as a result of a dangerous highway, a $14 million recovery for an individual injured in a tractor-trailer accident, and a $13.3 million settlement for a worker injured in a construction accident. In 2015, John was named for the 12th consecutive year as a Pennsylvania Super Lawyer. He has been named an Awesome Attorney by SJ Magazine and included in South Jersey Magazine’s Top Attorneys list every year since 2010, and is also recognized by The National Trial Lawyers as a Top 100 Trial Attorney in the Civil Plaintiff category. 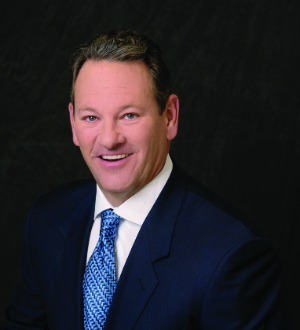 In 2004, John received The Philadelphia Trial Lawyers Association President’s Award, and in 2006 was elected by his peers to serve as the president of that organization. In recognition of his success at trial, in 2016 John was invited to become a fellow of the prestigious International Academy of Trial Lawyers (membership limited to 500 lawyers). John has frequently been invited to lecture practicing attorneys on trial tactics and trial advocacy as well as on the topic of police pursuits and governmental and municipal liability. Although he maintains a thriving legal career, John’s greatest love is spending time with his wife and their four amazing children, exploring the outdoors, and hitting the golf course.